NSANJE, Malawi, Oct 13 2012 (IPS) - For many women in Malawi’s disaster-prone southern district of Nsanje, resilience is essential to survive the cyclical flooding. Twenty-four-year-old Chrissie Davie, a mother of four, saved two of her three children from drowning when water filled her house as she slept early this year. About 6,157 families lost their property, over a thousand hectares of crop fields were ruined and 343 houses were destroyed in a matter of minutes when tropical cyclone Funso from the Mozambican channel landed on southern Malawi in January. The region is hit annually by high rainfall around this time of year. “Water came so quickly that by the time I woke up, it was too late for Chimwemwe, my youngest son,” she told IPS. Chimwemwe was already dead when she reached to pull him out of the floodwaters. He was only 18 months old. Davie used an empty drum to float her two remaining children, four-year-old Saulos and two-year-old Moses, to safety. She reached Chikoje, one of the schools in Traditional Authority Mbenje, southern Malawi. But within hours, she, together with the others who sought safety there, abandoned the school when the floodwaters rose. They walked for hours to reach a Malawi Defence Forces emergency camp called Nyatwa. Sandram Chale recalls how in 2003 his wife saved him when flash floods hit their village in Nsanje. “My wife firmly gripped my right hand and dragged me out of the water that had filled our house as we slept…I was too drunk, too weak to swim,” Chale said. He was talking about the flooding caused by two weeks of torrential rains that destroyed thousands of homes in eight districts, leaving 300,000 people destitute, eight people dead and several missing. Dorothy Chale did not only save her husband. She also saved her four children from drowning when raging waters crashed into their home after the banks of the Ruo and Shire rivers burst. These are some of the untold stories of extraordinary bravery by women in this part of the country. But they are not the only ones coping in times of disaster here. According to the United Nations Development Programme (UNDP), this landlocked, resource-poor southern African nation is vulnerable to a wide range of shocks and disasters, including yearly flooding and drought once every three to five years. “Although the likely impact of climate change cannot yet be specified for Malawi with a high level of confidence, forecasts for southern Africa indicate that it is likely to face some of the most extreme climate changes,” the UNDP says. 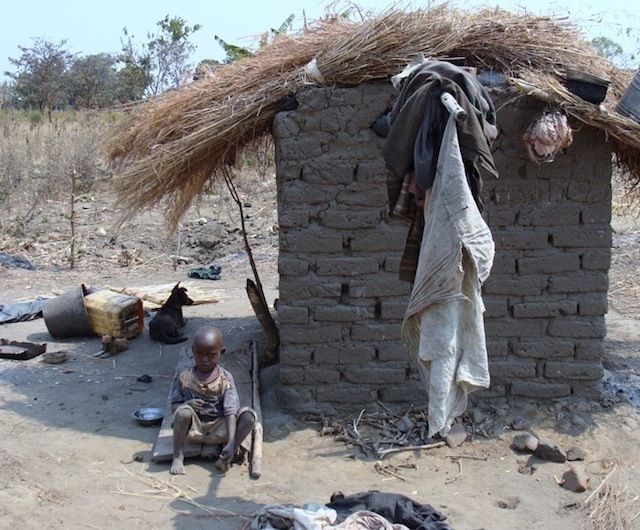 Because 65 percent of the country’s population live below the poverty line, with an overwhelming large percentage of Malawi’s 16 million people located in rural areas and dependent on maize for their livelihoods, there is a need to “elaborate a national disaster risk reduction strategy and integrate it in government policies and programmes,” according to the UNDP. 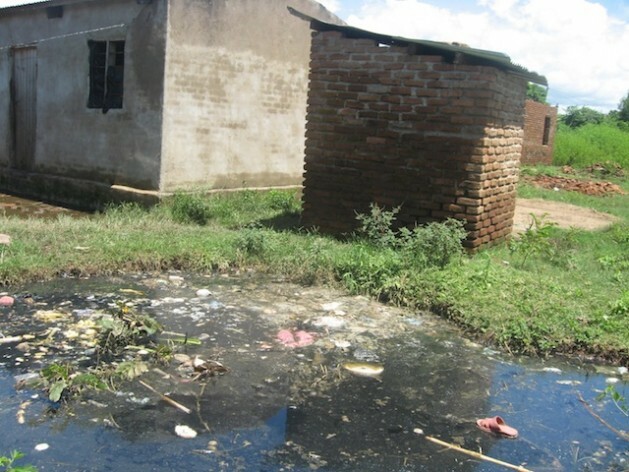 Malawi began prioritising risk reduction in 2009, and the country’s Department of Disaster Management Affairs was allocated about 99,000 dollars to raise awareness for disaster risk management in the 2011/2012 budget. About 3.2 million dollars is set aside for responding to disasters, according to a joint report by the Malawi Economic Justice Network, Christian Aid and the Centre for Environmental Policy and Advocacy. However, this is retained by the Treasury and not the disaster management department. “The Department of Disaster Management Affairs needs to have its own vote with adequate resources for their activities other than waiting for the same from the Treasury. This would enhance their programming as some of the disasters have actually become very predictable of late,” stated the report titled “2011/2012 Draft National Budget Analysis with Focus on Climate Change”. Agnes Chembe, 25, has learned through bitter experience the devastating consequences of these “predictable” disasters. “My house used to be close to the river, but it was swept away during the last floods. It was destroyed,” she told IPS. She is now living in a grass house about a kilometre from the Shire River. It is the third time she has been forced to move because of flooding. Like most of the villagers in Nsanje, she now uses local knowledge to prepare for the next floods. “I know for instance that the coming rainy season will not bring devastating floods like last year’s,” she said. “But I am already preparing to move upland before disaster strikes,” said the mother of three who lives alone with her children. Her husband, she said, works in Blantyre, the country’s commercial capital, and only returns home once every six months. District Commissioner for Nsanje Rodney Simwaka described the women in this region as invisible heroines. “We always look at them as the victims and ignore their resilience in surviving these disasters because most of these women are home alone, their husbands are in town working when floods hit,” he told IPS. “In most instances it is a woman who makes plans to move some property to another house on the high land, it’s a woman who uses local knowledge on how to survive and save her children first,” said Simwaka. James Chiusiwa, of the Department of Poverty Management and Disaster Preparedness, agreed. “What these women do is extraordinary, especially when you look at the fact that they are the most vulnerable in such situations. They survive the floods, continue to feed the family, and sustain the household all the time,” he told IPS. On Oct. 13 the International Day for Disaster Reduction focused on highlight the need for women and girls to be at the forefront of reducing risk and managing the world’s response to natural hazards. Cyclical natural disasters are not a new phenomenon and it is not uncommon for rivers in this part of Malawi to burst their banks. Davie knows that her village is in a disaster-prone area and she always prepares for the worst. But she breaks down when she remembers how her child died, because she blames herself for being unable to save him. “This is what I fear most all the time. I cannot afford to lose another child to floods and that in a way is my motivation to stay strong and to be always ready to survive against all odds when disaster strikes,” she said.